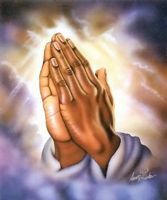 Please pray for Eric McDonald-Pray for his salvation.Pray that God's love will heal Eric's heart, Eric's mind and Eric's soul.Pray for God's BEST for Eric.Eric suffers from mental and emotion serious problems.He needs real help.We do not know where he is now nor how he may be….We are concerned about his future. He needs to find a GOOD Church where he can find a christian home and friends. He has been suffered and hurt him from childhood. Pray God will teach Eric to be filled with happiness , joy, peace, and hope. Eric needs to be part of a good church-a place of prayer and faith!!! Pray for a miracle healing in his heart, soul, spirit, and life. Pray for experience of forgiveness and the grace to forgive those that hurt him. Pray all demonic attacks will be broken forever. I want Eric to see his Savior, Lord, Redeemer, Friend, and Helper!!! !